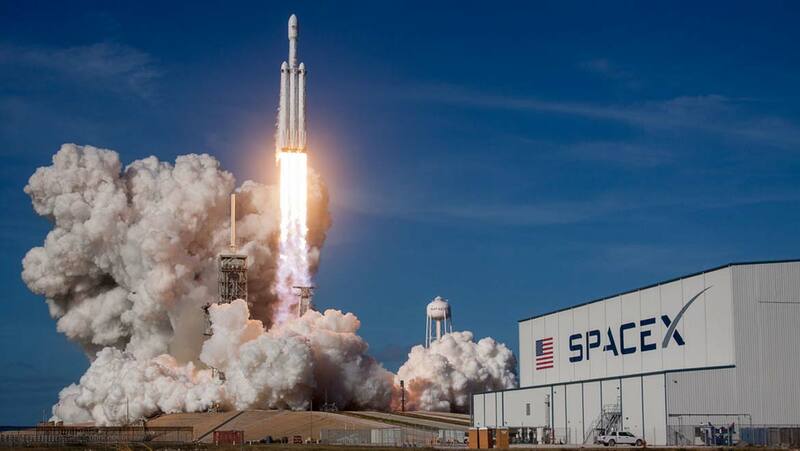 Dubbed the world’s most powerful operational rocket is Falcon Heavy, manufactured by US entrepreneur Elon Musk’s space technology company, SpaceX. It is currently the highest capacity rocket, and could, in the near future, enable humans to travel into space, to other planets or maybe even the moon! On Tuesday, 6th February 2018, the 70-meter tall Falcon Heavy, was successfully launched from the NASA Space Center in Florida into an elliptical orbit around the Sun that is close to Planet Mars. Believed to be able to carry 64 metric tons (140,000 lb), on its maiden flight, the vehicle carried a dummy payload of Musk’s red Tesla Roadster and a mannequin in a spacesuit named Starman. The twin boosters of the rocket returned to safety in the test site in Cape Caneveral. Based on the design of the Falcon 9, the Heavy is built with three-core Merlin engines that can produce 5 million pounds (22,819 kN) of thrust for takeoff, equivalent to that of a Boeing 747. In case of failure and one engine’s shutdown mid-air, it can still perform its functions. It is designed in a such a way that it delivers the load to the orbit reliably and efficiently, and can be reused several times in various orbits such as low Earth, geosynchronous transfer orbit (GTO) and geosynchronous orbit (GSO). With the exception of the middle core of the rocket missing the drone ship landing (it hit the Atlantic Ocean and was destroyed in the process), the launch was considered a mega success. The crash was caught on reel which Musk said he would share, someday. A few hours after the other two boosters landed, innovator Elon Musk said in an interview, “That was epic. That’s probably the most exciting thing I've ever seen, literally.” He also admitted to doubting the mission’s success by giving it a 50% chance. With its inaugural flight, this becomes the most capable, heavy-lift launch vehicle ever. There are still some unanswered questions regarding the viability, safety for astronauts, and costs involved in space travel, in general. But SpaceX and Musk have proven that it is possible to create something as valuable and powerful as this rocket just by using private funds — $90 million was spent on building the Falcon Heavy. This is just a quarter of what was spent by competitor United Launch Alliance on Delta VI Heavy. This phenomenal breakthrough will pave the way for research in the area of space technology and for the development of bigger satellites, to be used by the US defense forces, with an improved deliverance of broadband around the globe. The United States Air Force is already preparing to collaborate with Falcon Heavy to complete national security missions. Artificial intelligence and robotics are bound to become more advanced and also modifications made to the current telescopes. Mining asteroids, discovering water in the cosmos, and perhaps even stepping on other planets is something we may see in our near future. SpaceX has already promised to send two tourists on a weeklong cruise to the moon, without landing on its surface. Musk said that this project is still on the books for 2018. Well, it looks like we have to start packing our bags for a trip around the solar system!